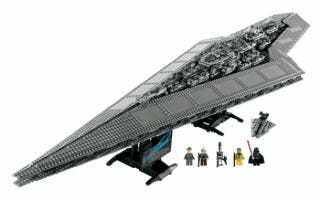 On September 1, Lego will begin selling Darth Vader's Super Star Destroyer, the Executor. At 50 inches and eight pounds, it will be the longest set Lego has ever sold. With the set you'll get Darth Vader and some of those memorable bounty hunters from the original trilogy.